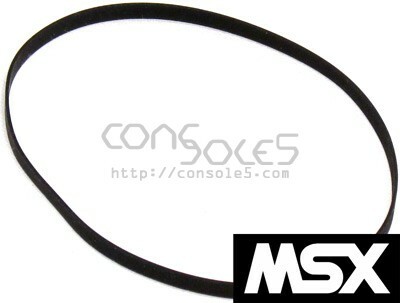 Brand-new, (not new old stock) replacement belts for MSX / MSX2 floppy drives, Fujitsu FM Towns Marty, and other Panasonic / Matsushita floppy drives used in Yamaha and Korg equipment. We've seen these belts sell for upwards of $30 in some locations! Higher cost does not mean higher quality - our belts are better than OEM at a fraction of the price.